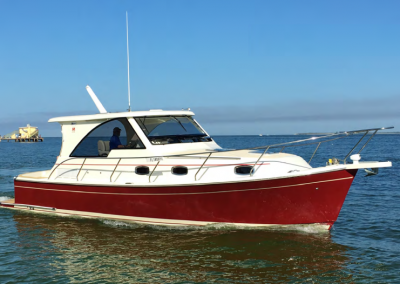 The Marlow Pilot 34 is the newest model in our range and features a significant beam for a 34, hence a very roomy interior and helm deck area.  The helm deck area raises via electric rams to allow superb access to the engines – single or twin choices available. The large transom is excellent for swimmers or boarding from dockside. 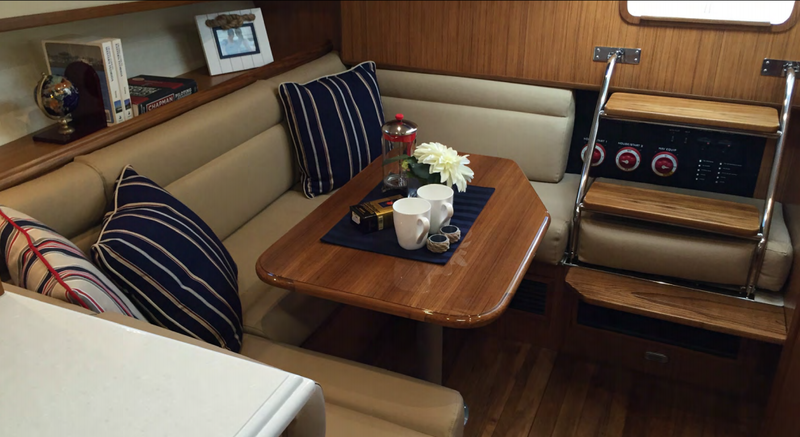 Dual dinettes in the helm deck and a dinette below offer plenty of choice for entertaining and comfort. 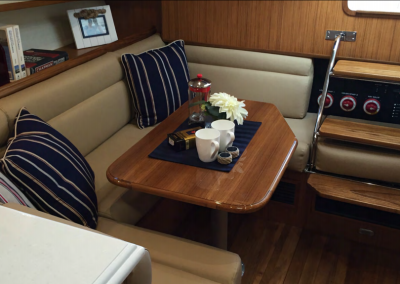 The dinette below is convertible to a guest double for additional sleeping accommodations. The woodwork is beautiful and is complimented by a choice of fabrics.